Located on the Arctic coast, the initial Hope Bay project was the excavation of an exploration development access ramp. In addition to the typical challenges of a remote Arctic project, Hope Bay did not have ice road access, but instead had a brief window for shipping by sea. The logistics of the project required rapid mobilization and operating in extremely cold temperatures to establish ramp portal and surface facilities to commence the project. 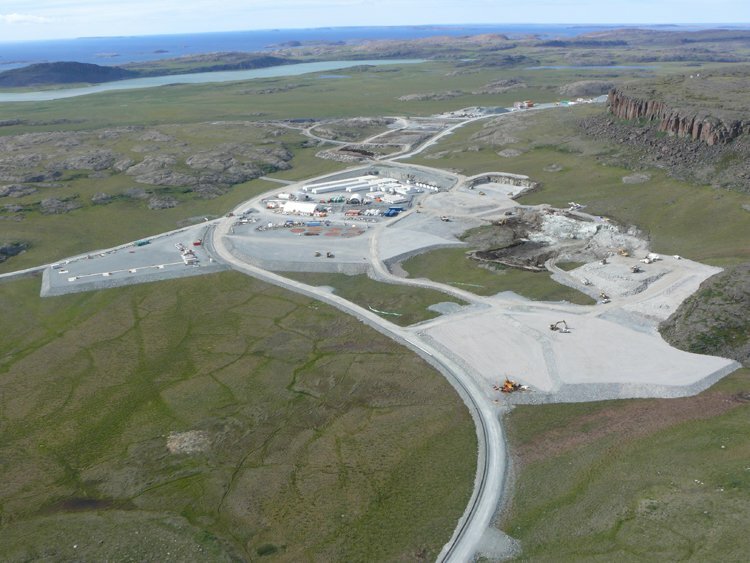 This work at Hope Bay is carried out by Kitikmeot Cementation Mining & Development (KCMD), a long term partnership between Cementation Canada and Kitikmeot Corporation of Nunavut. This is the second project being carried out by KCMD at the Hope Bay property, the initial exploration being done for Newmont. KCMD now carries out all of the underground development and production work for the Hope Bay property.